On Oct. 13, 2016, the Star Wars YouTube channel released its latest Rogue One: A Star Wars Story trailer to an enthusiastic public who adores the iconic franchise. Apparently, Darth Vader makes an appearance which does not tug on my fanboy strings, but yanks on them like a bungee cord hopped on caffeine. On the other hand, I will not watch this trailer. I cannot do it. No. I will “somehow” patiently wait to see Vader’s next appearance in a feature film when I sit in my theatre seat and watch Rogue One: A Star Wars Story in December 2016. There is a method to my “just-patiently-wait” madness, and the origin harkens back a few decades to my Worst Christmas Ever. My Worst Christmas Ever occurred when I was about 9 or 10 years old. Now, I don’t remember the exact year. I don’t remember if my mother baked a turkey or ham. I don’t remember if it was snowing or not but knowing upstate New York in late December, it probably was so cold that the snowmen wore heavy coats and started campfires to fight the elements. Well, on this particular Christmas morning, I unexpectedly woke up at 3 a.m. and walked downstairs to the family room, where the Christmas tree stood. Feeling anxious but also quite annoyed - because I had to wait three hours for my parents and two little brothers to rise from their Christmas Eve slumber before tearing into the piles of treasure - I hatched a plan! Grabbing a pair of scissors (and a fresh roll of Scotch tape), I meticulously cut the clear adhesive on all of the presents (that looked like toys) labeled “To: Jeff”. With an impulse to discover the joyous matter covered in green and red paper, I carefully opened my presents, glanced at the contents inside and taped them back together before anyone woke up. Mission accomplished! When my brothers rushed downstairs at 6 a.m. sharp with the exhilaration that I experienced just three hours prior, we immediately took turns opening our gifts. While they enjoyed the wide-eyed wonder of ripping into paper, ribbon and boxes – not unlike the Parker family in A Christmas Story (1983) – I faked my enthusiasm during the 90-minute exercise. Looking back, I ironically cannot recall one present from that year (although I am certain that an Atari 2600 video game was a portion of the Christmas booty), but I do remember feeling miserable all day. At the time of the great event, I had no surprises. These days, I walk into movie theatres about 150 times a year. To me, experiencing a movie – in the comfort of a 250-seat theatre – is a gift but watching that film’s trailer ahead of time feels like “cutting the tape” on a cinematic present and glancing at its contents. Many times, I try to avoid the trailers, because they can ruin surprises, sometimes big ones. Trailers can ruin big surprises by revealing too much of the story. The “best” example of a trailer ruining big surprises is the one created for Cast Away (2000), starring Tom Hanks and directed by Robert Zemeckis. Hanks plays a Federal Express executive named Chuck Nolan who is stranded on a deserted island and desperately wishes to find a way back home to Memphis. Hanks and Zemeckis hit all the right notes by offering a sobering, emotional tale of survival and difficult choices when life really, really gets in the way of your best laid plans. Now, if you had plans to watch Cast Away back in 2000, the film’s trailer completely sunk them for you. Not only does the two-minute 20-second trailer reveal too much of the story, it walks the viewer through every major plot point that Chuck endures. In the trailer, Chuck’s FedEx plane crashes in the ocean, but he grabs a life raft and drifts onto a tiny island. We then see Chuck sporting a long, blondish beard, which visually explains that he is stuck there for years. Thankfully, Chuck constructs a raft out of branches and twigs to escape the sandy shackles. The icing on the give-away-everything cake are the words, “Where do you start when you have to start over?” which appear on the screen. These words then dissolve into the image of Chuck greeting his girlfriend, Kelly (Helen Hunt), at her front door. The team who produced this trailer mind-bogglingly reveals the complete story arc of this modern-day Robinson Crusoe tale, but at least the audience does not know how long Chuck was lost. Oh, that’s right, four years. Sigh. Six months earlier, another Robert Zemeckis picture hit theatres, a thriller called What Lies Beneath (2000). Harrison Ford and Michelle Pfeiffer play recent empty nesters entangled in a creepy haunted house story. Similar to Cast Away, this trailer gives away just about everything. Claire (Pfeiffer) hears strange noises inside her home, and items, like a picture frame, fall for no apparent reason, however, the trailer explains that the weird occurrences are due to a ghost. Norman (Ford) then admits that their perfect marriage is a mirage, because he had an affair with a young, beautiful co-ed. Claire then claims that Norman’s mistress is visiting them from beyond the grave. The trailer discloses that Norman’s dead mistress comes back to life as a ghost and possesses his wife. Well, I guess we don’t exactly know if his mistress is dating Casper the Friendly Ghost in the afterlife, but with so much time on her hands, she is most likely single. The film’s third trailer – published less than four months before the movie’s March 2016 release – inexplicably reveals that Lex Luthor (Jesse Eisenberg) creates Doomsday to kill Superman (Henry Cavill), because Batman (Ben Affleck) failed to do so. Until this December trailer, the average moviegoer thought that Batman and Luthor were Superman’s only antagonists. Much of the film’s fascination is attempting to initially decipher why Ma (Brie Larson) and her 5-year-old son (Jacob Tremblay) live in a tiny room. Did a nuclear holocaust occur? Is this some bizarre science-fiction experiment? Are they staying in cramped quarters against their will? Well, the trailer explains that the two have been confined in a room for five years and against their own will. Ah, the mystery is solved…in the trailer. This heartwarming, true story features an underprivileged Ugandan teen, Phiona Mutesi (Madina Nalwanga), learning the game of chess. One minute and 43 seconds into the trailer, we discover that Phiona becomes a gold medalist in a significant chess tournament, and crowds of people from her village celebrate her win, while she holds a large trophy. Checkmate! Okay, Queen of Katwe Trailer, I give up. Writer/director David Robert Mitchell created the most ingenious horror film of 2015 by introducing a “thing” that simply follows a singular victim, wherever one is, wherever one hides. The trailer, however, gives away that Jay’s (Maika Monroe) first date with a seemingly nice guy will horribly turn sideways, because he ties her up to a wheelchair and explains that “It” will now follow her instead of him. While watching It Follows, an informed audience will unnecessarily realize – during the film’s first 15 minutes - that Jay’s date will end with her bound and cursed. Additionally, at the 1:45 mark, the trailer also explains that “It” can look like someone you know, or it can be a stranger in a crowd. I do not follow the reasoning to reveal that intriguing detail. Why do we have trailers? It is no surprise that we have trailers. Studios create them as effective marketing tools to entice audiences to see their pictures, and rabid and casual movie fans – almost universally – find them as enjoyable samples of upcoming movie releases. The American Marketing Association defines marketing as the activity, set of institutions and processes for creating, communicating, delivering, and exchanging offerings that have value for customers, clients, partners, and society at large. Studios create, communicate, deliver, and exchange an offering in the form of a trailer which carries value for a movie audience. The movie studios allow us to catch glimpses and flashes of future film experiences, and – best of all - the exchange between studios and fans is absolutely free. It is a most-welcomed trade. Trailers are convenient too. Wrapped into informational, entertaining offerings, they help fulfill random, two-minute distractions in between filling out TPS Reports and managing email volleys during 9 a.m. to 5 p.m. workdays. After the 120-second mental sugar high ends, we are thankful that God (or whichever deity you worship) invented YouTube. As much as I appreciate the easy accessibility of YouTube, I prefer trailers the old-fashioned way, on the big screen. Trailers have become a rite of passage for two-hour escapes into “Movieland”, and what do we always say to ourselves or the person next to us when we feel that the theatre did not light up the screen with enough of them? We feel cheated, even though the two trailers were free, because they have value and are a prime example of the anticipated exchange outlined in Marketing 101. Now, a movie is an organic event, made up of narratives, characters and the magic captured by a camera, and filmmakers do not have to follow “Textbook 101” instructions to create their own masterpieces. Just ask director Alejandro Jodorowsky. On the other hand, there are sensible rules to make an effective trailer. Charlie Lyne of UK’s The Guardian wrote a fun article in 2012 entitled, “Coming soon…how to make the perfect movie trailer”. Among a series of helpful tips, he mentions that comedies should feature clips from five upbeat Katy Perry songs. Dramas should include heavy-handed dialogue with shots of light streaming through trees, and action films should leave about 10 seconds at the end for an agonizing, slow reveal of the film’s title. “D I E H A R D 9: B A C K F R O M T H E D E A D”, perhaps? Hey, there are rules. Actually there are no official guidelines, but trailers – as we have seen - sometimes break the colossal, unofficial rule: revealing too much of the story. They also can create false expectations. Trailers do provide a valuable service by helping set expectations. If a moviegoer plunks down $10 on a film, it is vitally important to understand the type of picture that he or she will experience. For example, one may have walked up to a theatre in 2015, looked at the title Mustang on the electronic movie list above the window and guessed that the picture is about a very specific, domestic muscle car or a horse riding across the grasslands. On the contrary, Mustang is a Turkish movie that closely captures the struggles between five girls’ freedom of expression and family oppression in one of the best films of that year, and a simple view of its trailer could bring that clarity. Sometimes, however, the trailer does not closely align with its film, and then our expectations could skew our theatrical experience. When I was a very new movie critic, this happened to me. Back in early 2008, I attended a movie screening for In Bruges, about a pair of low-level gangsters (Colin Farrell, Brendan Gleeson) keeping a low profile in Bruges, Belgium. After watching the trailer, I expected a zany, hilarious caper, however - much to my chagrin - most of the comedic moments were captured in the two-minute preview. The film actually took some very dark turns with an arthouse-like flair. 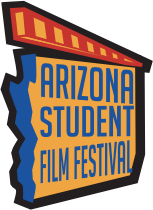 I walked out of the theatre disappointed and confused and gave the film 2 out of 5 stars in Arizona State University’s student newspaper, The State Press. Fast forward to August 2016, and on a lazy weekend, I sat down in my living room and watched “In Bruges” again with a fresh set of eyes. When writer/director Martin McDonagh’s movie ended, imagine my surprise as I appreciated Farrell and Gleeson’s characters, their journey and the artsy, dark turns that I dismissed eight years earlier. Instead of simply judging the movie on its own merit, my 2008 review reflected the broken promises from the trailer, and also my original expectations and preconceived notions. A rookie movie critic mistake! My key learning? Significant differences in tone between a trailer and a film can greatly skew one’s experience. Over the last couple years, I have made honest efforts in skipping the trailers prior to walking into movies. I am successful in managing my self-restraint roughly 71.7 percent of the time, and this practice is serving me well. During a typical trailer-less movie trip, I may read a brief synopsis and catch a glance of the lead actors. Sometimes, I blindly walk into a film by just scanning the movie title and genre, and that’s it. The results can be wonderful. I stepped into cineplexes to catch the previously mentioned Room and It Follows without watching the trailers and absorbed both films, as they were meant to be seen. I did not know why Ma and her son were confined to a room in Room and had zero idea of the shape, motivation or basic makeup of “It” in It Follows. No previously seen images, no spelled out narratives, no preconceived notions, and - most importantly - no expectations. Five minutes prior to watching a “going in blind” film, we can sit in a theatre (with optional bags of popcorn and drinks), stare at a blank movie screen and realize that it is a metaphorical blank slate, because we have no idea what we are about to experience. In a perfect world (as I stand on my soapbox), that is how a movie should be experienced. I am going to continue making efforts to avoid trailers, because I believe a critic needs to be as unbiased to the images, ideas, storylines, and characters as possible before walking into film. Of course, my disclaimer is that I am only human, and quite frankly, I am awfully excited for the Guardians of the Galaxy Vol. 2 trailer….but I digress. As a moviegoer, the equation is a bit different. In order to help protect your $10 movie investment, some research is absolutely warranted. With popcorn, candy, soda, and movie tickets, one trip to the cinema can cost $80 for a family of four. Under those circumstances, no parent should blindly walk into Jack and Jill (2011) expecting a kid-friendly flick about the famous nursery rhyme and end up watching Adam Sandler’s most unfunny film to date. The same stance applies to the guy trying to find a clever, warm romcom for a well-planned second date. By all means, do your research, because you want a third, fourth and fifth date. 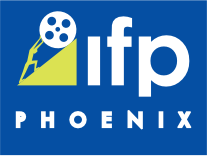 Yes, read the reviews from the Phoenix Critics Circle (http://phxcritics.com) and watch the trailers, but just beware of the pitfalls that two-minute previews can bring. They can reveal too much story, set up incorrect expectations or maybe all of the funny jokes are summarized within the two-minute packages. Even worse, perhaps a trailer contains a key moment that should ONLY be witnessed in your theatre seat during the unfolding of an iconic movie. As of October 2016, that trailer has collected 78 million views, and about 10 of them are mine. My only wish is that I heard those words for the first time in my theatre seat during the actual movie. That would have been a nice present, and I bet the moment would have felt like Christmas morning. Well, I guess it did…when I was about 10 years old. 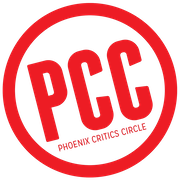 Jeff Mitchell – a member of the Phoenix Critics Circle – has penned film reviews since 2008 and graduated from ASU’s Walter Cronkite School of Journalism. Follow Jeff on Twitter @MitchFilmCritic.